The doctor’s daughter. It seems that a doctor, Pedro González Velasco, unintentionally ended up with the life of his daughter by administering a cure for typhus that he had prepared. Deranged by grief, he stole the corpse from the cemetery and took it to his house, where he mummified and dressed it. So, he talked to her and even took her out for a walk. “Beata” Clara. In the current street Lope de Vega, not far from El Anciano Rey, lived Clara. People from all walks of life came to her to be cured or to ask for advice, even on matters of State, something that the woman did when she went into a trance. Apparently, Clara managed to make the vows to enter the convent of Santa Clara. But this aroused the suspicions of the Inquisition, which arrested and imprisoned her. This caused a lot of discomfort in the street, and in 1804 there was an earthquake in Madrid that was attributed to the unfair treatment that Clara received. The beautiful lady. It is said that a man met a beautiful girl with whom he shared a whole night before disappearing after showing him the church of San José. Hours later, in the same church, he was able to attend the funeral of the young woman who, in fact, had died days ago. The children devoured. At the Puerta de Moros, very close to El Anciano Rey de los Vinos, moans began to be heard that were attributed to Satan and the ghosts of the Muslims who died defending their domains. However, it was later learned that they responded to the crying of three ghostly children who had supposedly been devoured by their father. The decapitated of San Ginés. 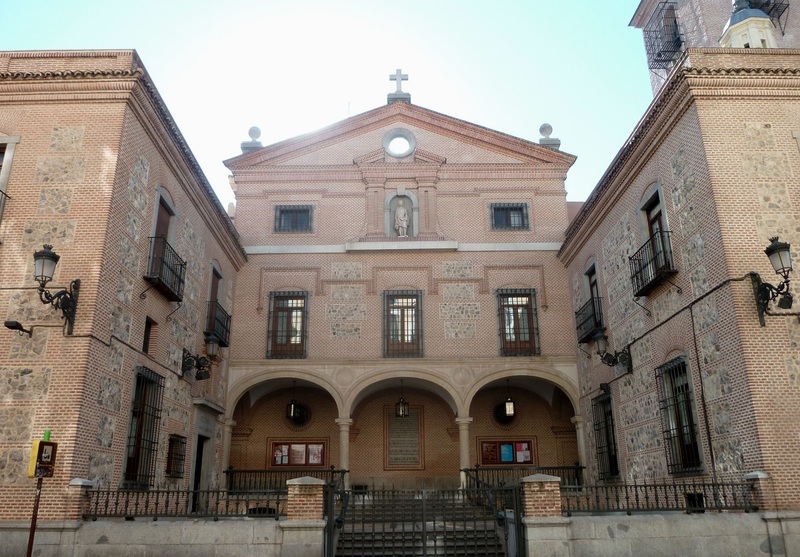 Thieves assaulted the nearby church of San Ginés. But they ran into a witness, an old man they killed and beheaded. A short time later many parishioners could see in the church the shadow of a headless figure. We hope you enjoyed this review of some of the most ghostly places in Madrid. And we also hope you like all the specialties that you will find in El Anciano Rey de los Vinos, such as sweet wine, natural vermouth or any other of our specialties.